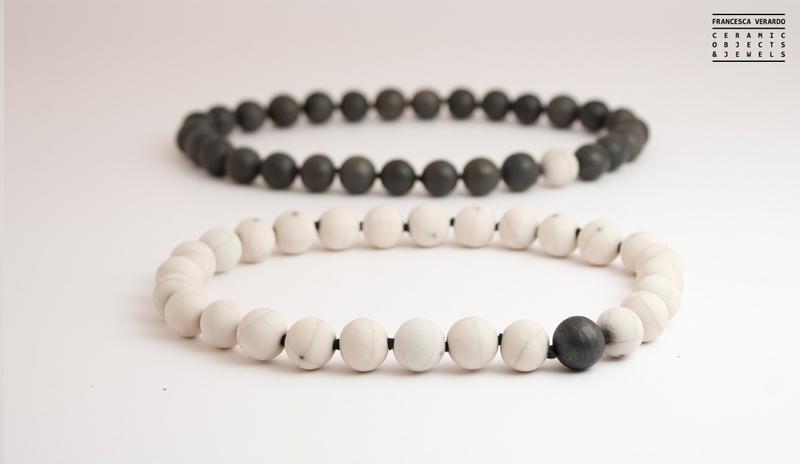 Two colors: white and black. Two finishes: smooth and rough. Contemporary reinterpretation of the classic pearl necklace. 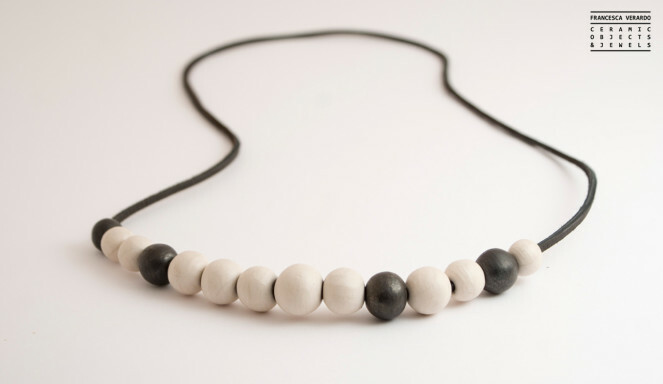 The use of opposing solutions as regards the visual and tactile appearance, obtained in modellation through different levels of burnishing, and through the use of two colors, white (natural tone of the ceramic) and black (result of the smoking process), are a metaphor aimed to highlight how opposites can coexist in a single element, the necklace.